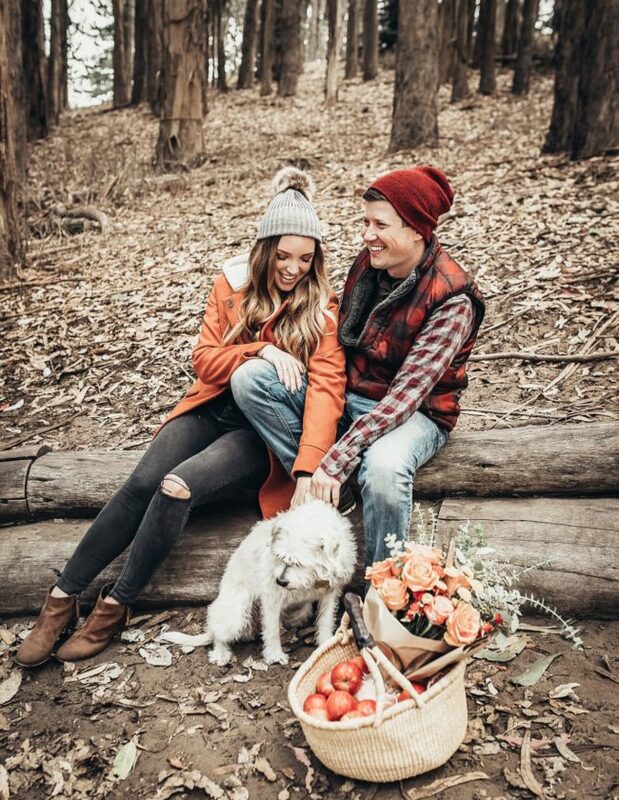 I don’t know about you guys but one of my favorite types of posts to read are the “what’s in my bag” posts. I love being able to take a look into someone else’s bag to see what purse essentials they carry around on the daily. It’s been awhile since I last did one so wanted to share an update, especially since I’ve been carrying this new Celine beauty around. If you’d like to get a closer look on the purse itself, check out my Celine belt bag review on my Youtube channel here. But want to see the items I carry around each day? Well, keep on reading! 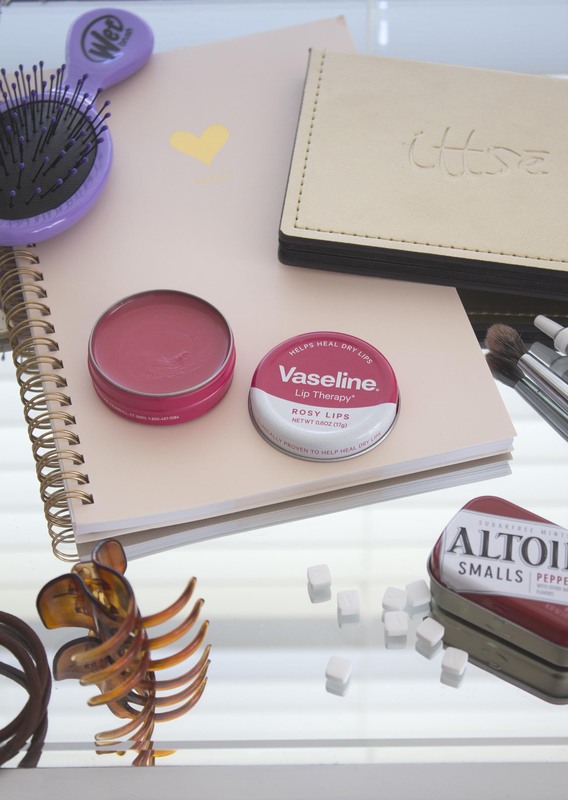 Vaseline Rosy Lips Lip Tin — I’m SO GLAD Vaseline brought these babies to the US! I first purchased a lip tin in a London Boots drugstore in 2010 and used it all up since it lived in my bag. 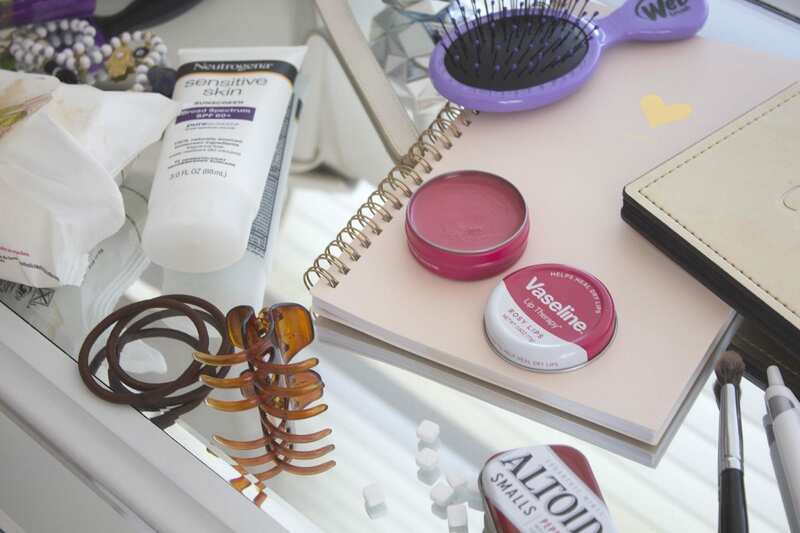 I’m a big fan of rose scented products and really like the simple but effective moisturizing power of Vaseline–I also have another two tins of original and rosy lips in my desk drawer. I’m constantly applying this on the go and especially love applying before my liquid lipstick. A lot of liquid lipsticks are so drying and uncomfortable, so a thick swipe of Rosy Lips while I’m doing my makeup is key. Once I’m ready to apply my lip color, I dab off the extra Vaseline and pop on my color! So glad I stumbled on these at Target! Notebook and pen — I’m an AVID list maker and I just cannot get on board with using the notes function on my iPhone. I love putting pen to paper to remind me of the things I need to get done for work and my life. This notebook is from Sugar Paper LA and I love the cute gold spiral binding. Altoids — Always great to have a stash of these in your bag! I used to carry gum around but I would forget that I was chewing it and would end up chewing it in meetings–eek! These mini Altoids are easy to quickly enjoy and get a boost of fresh breath after your 3pm coffee. Brush — Technically this is a mini wet brush for detangling your hair after the shower but I bought it because I love the purple color and it’s mini-ness. #LongHairProblems but I get massive tangles at the nape of my neck so I quickly detangle so avoid a bigger mess later. Facewipes — I’m a facewipes HOARDER. I have every brand, every variation, every everything. I love being able to easily swipe off my makeup at the end of the day or add some extra hydration after the gym or if it’s a makeup-free day. These I picked up from Target and I love that they are scent free and even remove waterproof mascara. Travel tip–I purposely save the packs of face wipes that have about 10 wipes or less for when I’m traveling. I pack the almost-used-up package in my bag and its less to carry around and I typically finish them off on the plane coming home! Hair clips and hair ties — I love having my hair down in soft waves but I also love wearing it up. Something about pulling my hair up into a bun just feels good and I’ve been particularly fond of clips lately when I’m on the go or embracing a casual day. Neutrogena sensitive sunscreen — Sunscreen is so important even if you’re just outside during your commute each day. I like this Neutrogena one because it works into my skin easily and cam be used on my arms, face, legs, you name it. And there you have it, my purse essentials that I’m toting around at any given time! Did any of your favorites make it on this list? Yes, all essentials! 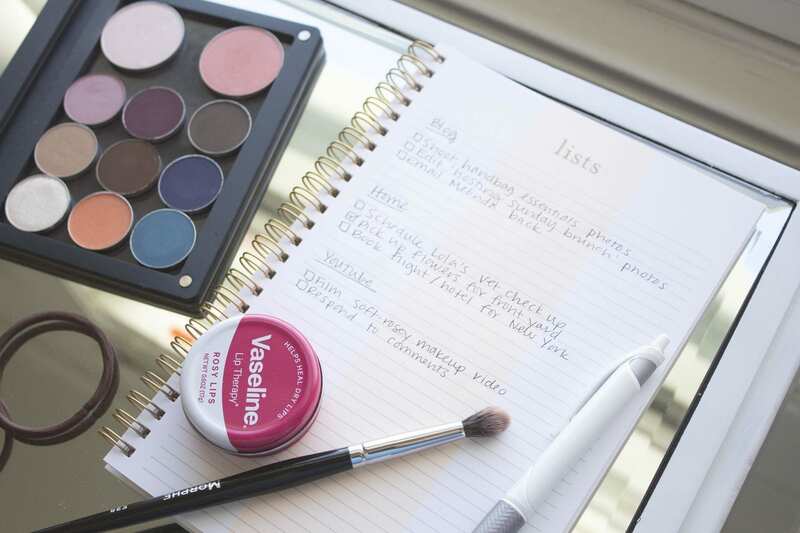 Vaseline definitely always makes its way into my purse – I can’t leave home without it! Hair ties, too. My boyfriend never gets the myriad things I ‘have’ to carry around with me, haha. My purse will soon become a diaper bag, but I agree that these are some of the essentials I always have in mine. The only thing I would add is a travel sized tube of hand lotion. Being a teacher I am constantly washing my hands, which tends to leave them very dry. I also like to keep a little hand sanitizer in there too for a quick clean after using public doors, at gas stations, etc. I’m not one of those crazy people always needing clean hands, but I’ve found it’s really convenient to feeling clean, especially after a long day. Your purse sounds like mine. All essential right? I love what’s in my bag posts too — and bonus points if it’s a what’s in my bag YouTube video. I definitely need to add things to my bag. I only carry my wallet, phone, keys, pen, and paper. When I’m out and about I am always in need of chap stick and a hair tie. Thanks for the inspiration. I think I will be adding a few things to by purse before I head out to the grocery store! I love these essentials. Now that my hair is getting longer, i’m finding more and more hair ties in my purse. Always a good chapstick and lotion. Lip balm is always important. Love your product shots. I always have to have a lipchap of some kind as well. I love Blistex and Burts Bees.